If you already have 3DMark03 you do NOT need to download this file. All you have to do is download and install the PATCH FILE which is significantly smaller ! 3DMark03, provides state-of-the-art DirectX® 9 benchmark. Benchmark Structure . 3DMark03 is a collection of 3D tests. These include a set of four game tests; these are the only tests used to calculate the overall 3DMark03 score. The benchmark also includes a set of CPU, feature, image quality, and sound tests. Each of these tests measures specific 3D-related functionality, but their result is not included in the overall score. They do not fall into the target usage, but are included to allow the user to evaluate these features. The CPU test is a convenient way to measure the performance of the CPU for typical 3D usage. The feature tests isolate the performance of key 3D features primarily relating to shader technologies. The next set of tests is an exciting new addition to 3DMark: the 3D sound tests. These evaluate the impact of 3D sound sources on 3D graphics performance. The software also includes a set of much-improved image quality tools. These provide a powerful way to ensure integrity of the graphics hardware and drivers. Real-Time Rendering . Each 3DMark03 game test is a real-time rendering of a 3D scenario. It is important to note that these renderings are not merely animations or a set of recorded events; they are designed to function like 3D games work. As with 3D games, all computations are performed in real time. This is a critical part of FutureMarks philosophy of 3D graphics benchmarking. DirectX . All tests have been compiled and linked with DirectX 9.0 libraries. However, only a small part of the benchmark requires DirectX 9 hardware. As DirectX 8 hardware is now commonly available, a major portion of tests requires DirectX 8 hardware support. A small part of the benchmark can be run with only DirectX 7 compatible hardware. Note that 3DMark03 is not appropriate for solely evaluating DirectX 7. 3DMark2001 SE should be used to measure DirectX 7 and early generation DirectX 8 hardware. Frame-based Rendering . For the first time, 3DMark provides two different real-time rendering mechanisms: time-based rendering and frame-based rendering. Each game scene has a timeline or natural pace of action. Also provided is a frame-based rendering mechanism that renders a fixed number of frames for each second of the timeline. The number of frames is user configurable. Shader Technologies . FutureMark believes that future 3D products will move to using vertex shaders and pixel shaders.3DMark03 focuses on these. 3D Engine . Previous versions of 3DMark used the MAX-FX 3D engine. The trend in 3D engines is moving towards very lightweight DirectX wrappers as more and more work is transitioned to the API and graphics card. 3DMark03 based the benchmark directly on top of the DirectX 9.0 3D platform. This allows the benchmark to be independent of specific technologies embedded in a single 3D engine implementation. DirectX®9.0 compatible graphics adapter that has 32MB of memory and is fully DirectX®7.0 compliant. 1000MHz x86 compatible processor (PCMark2002 CPU score of over 2500) movements such as falling characters and crashes in 3DMark03 use real-time physics. You cannot download any crack or serial number for 3DMark03 Free Version on this page. Every software that you are able to download on our site is legal. There is no crack, serial number, hack or activation key for 3DMark03 Free Version present here. Our collection also doesn't contain any keygens, because keygen programs are being used in illegal ways which we do not support. All software that you can find here is freely downloadable and legal. 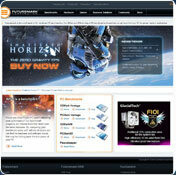 3DMark03 Free Version installation package is prepared to be downloaded from our fast download servers. It is checked for possible viruses and is proven to be 100% clean and safe. Various leading antiviruses have been used to test 3DMark03 Free Version, if it contains any viruses. No infections have been found and downloading 3DMark03 Free Version is completelly problem free because of that reason. Our experts on malware detection tested 3DMark03 Free Version with various spyware and malware detection programs, including fyxm.net custom malware and spyware detection, and absolutelly no malware or spyware was found in 3DMark03 Free Version. All software that you can find on our servers, including 3DMark03 Free Version, is either freeware, shareware or open-source, some of the software packages are demo, trial or patch versions and if possible (public domain licence), we also host official full versions of software. Because we want to be one of the fastest download sites on the web, we host all the software including 3DMark03 Free Version on our servers. You cannot find here any torrents or download links that would lead you to dangerous sites. Rate 3DMark03 Free Version build 360!